I was shown a nice trick recently in Visual Studio that I never realised existed. The technique is an easy way to create a C# class from an XML or JSON document. 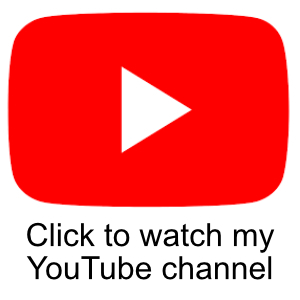 Have you ever been in the situation where you are taking an XML or JSON feed from one system and need to integrated it into a project you are working on? I have plenty of times and creating the data type from that XML so you can de-serialize it back can be a pain. At first I thought I must be the only person who doesn’t know this, but on discussing it with some team members, they hadn’t hear of it either. Lets take a look at an example with XML. I have taken an example excerpt of XML from the W3CSchools website. If you take the above XML and place it into the clip board. 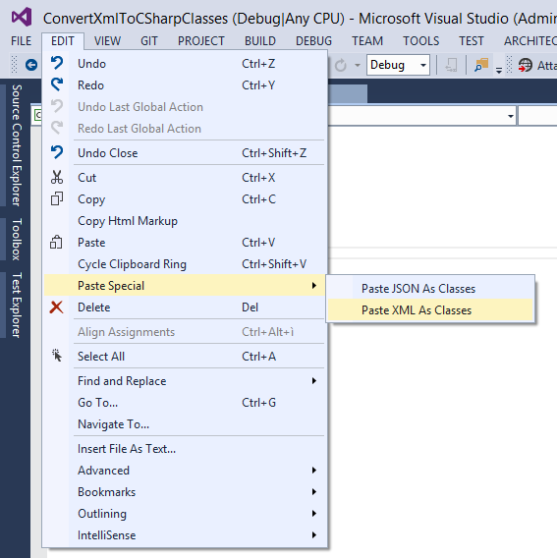 Then create or open an existing visual studio project. Goto the Edit Menu and select “Paste Special” and then “Paste XML as Classes“. This will create a set of classes that represents the XML data structure. It’s that easy. This also works with JSON documents, so this makes working with REST API’s really straight forward.